The ERU-2600 Stand complements any of Ezer's Examination Chairs, putting your selected diagnostic instruments at arm's reach. With this Stand, you won't struggle with space versus functionality challenges. 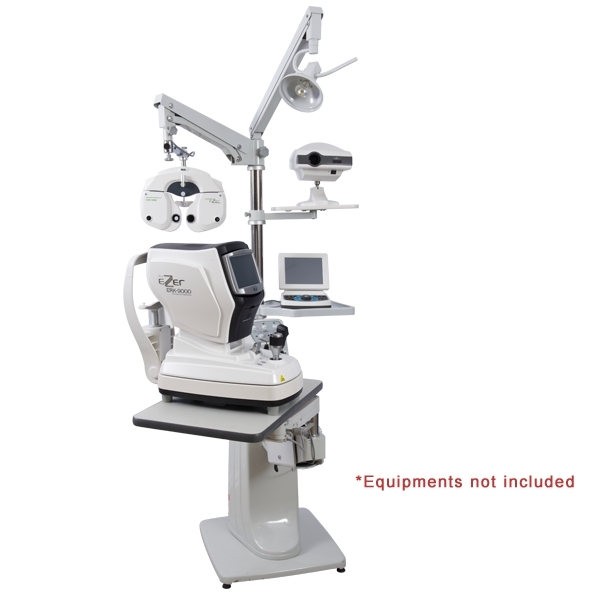 You will instead enjoy a sleek, modern design at an affordable price. 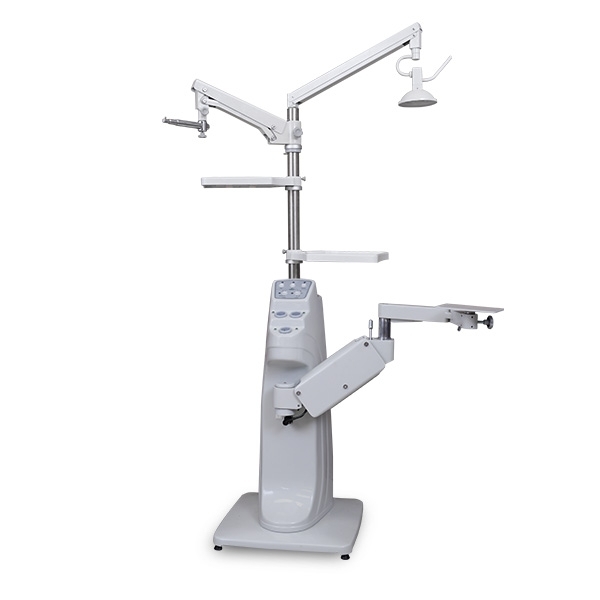 The innovatively designed ERU-2600 Stand features convenient controls, an overhead lamp and slit lamp and refractor pantographic arms. 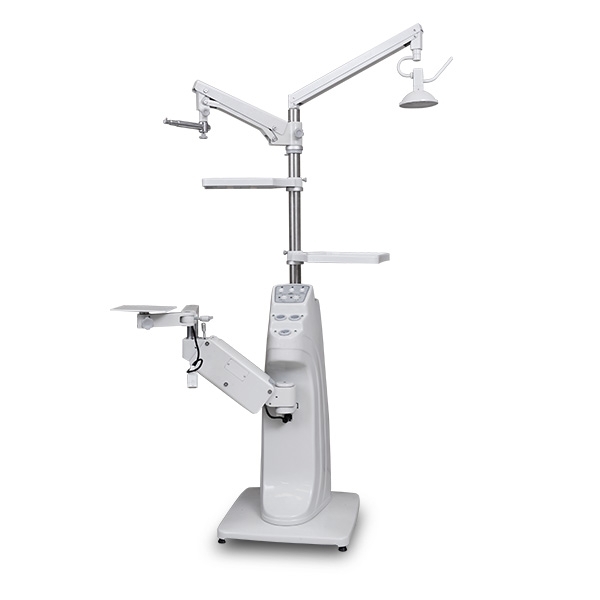 The stand is also optionally available with a slit lamp arm only. 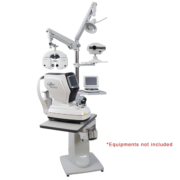 Best of all, the ERU-2600 is powerful and build to last. 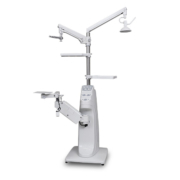 The ERU-2600 Stand features a Slit Lamp Pantographic Arm with smooth up/down movements and swivel. It also features a locking mechanism. 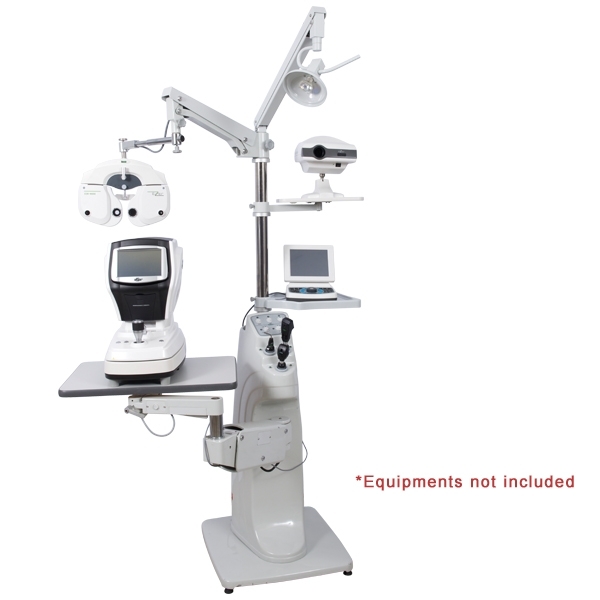 The ERU-2600 Stand is offered standard with an included Refractor Pantographic Arm. 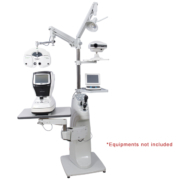 A single lock phoropter arm is available as an option at no additional charge. The ERU-2600 offers total control at arm’s length. 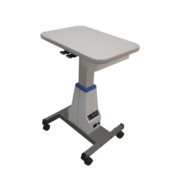 The console switches turn on the chart projector, raise and lower the chair, and return the chair to an upright position. The ERU-2600 features a membrane switch design for longer lasting use. 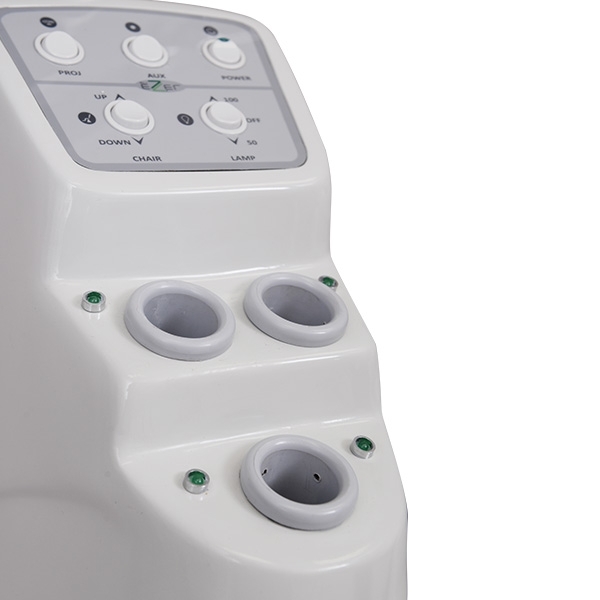 The switches are also backlit. 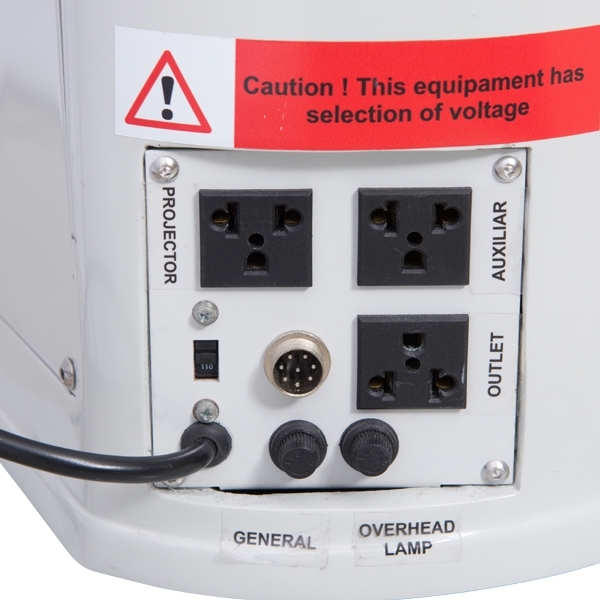 Three recharging wells ensure a steady power supply for medical equipment. 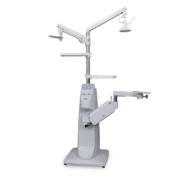 The overhead arm on the ERU-2600 is equipped with a low-voltage bulb to provide bright, safe direct lighting. 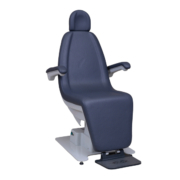 The ERU-2600 is made of carbon steel SAE 1020 with an epoxy surface treatment and polystyrene finish. 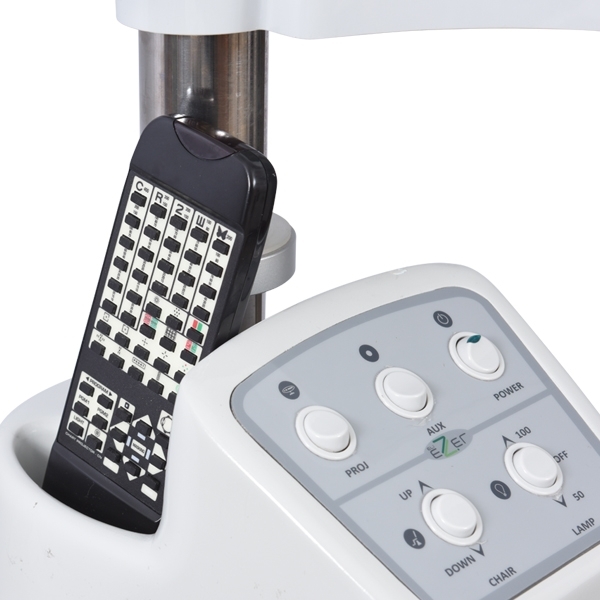 The Instrument Stand is FDA Listed.